Cooking with the produce your little ones have just explored through the activities is a great way to introduce these new foods into a child’s everyday diet. 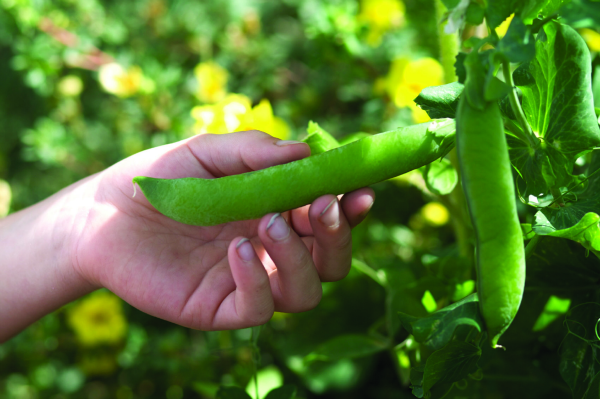 Try offering frozen peas straight out of the freezer as a fun, crunchy filler for a hungry child who needs a snack! They are surprisingly sweet and because they are frozen, they have a consistent texture and do not separate from their husk like cooked peas can. Try pureeing/blending peas into pasta sauce or soups. Peas have a really sweet flavour and are immensely satisfying with mashed potato. Demonstrate the magic of mashed potato and how peas can stay on the fork of mashed potato even when it is turned upside down. The peas stick to the mashed potato like glue – magic! Use organic ingredients if possible; organic foods are free from artificial chemical pesticides. Up to the age of seven, children’s bodies are more susceptible to the disruption water soluble pesticides can cause. To find out more about organic foods and why they are beneficial visit www.organix.com/about-us/why-organic. We like to think our food is pretty tasty and healthy to boot, visit our Organix sitefor even more recipes and yummy snacks ideas.